West Bend, WI – November 2, 2011 – GrandCare Systems and Coro Health today announced a strategic collaboration to integrate Coro Health’s Streaming Music into GrandCare’s fully-featured remote activity of daily living monitoring, telehealth and socialization system. The result is a harmonious experience: giving the GrandCare customer a deeper level of musical entertainment, passion and familial communication. GrandCare Systems and Coro Health will be showcasing the Digital Home Health and music partnership at the upcoming AgeTech California Technology Conference & Exposition on November 15th at the Hilton Hotel in Pasadena, CA. About GrandCare Systems: On the market since 2006, GrandCare Systems is a pioneer in the aging and technology digital home health industry. 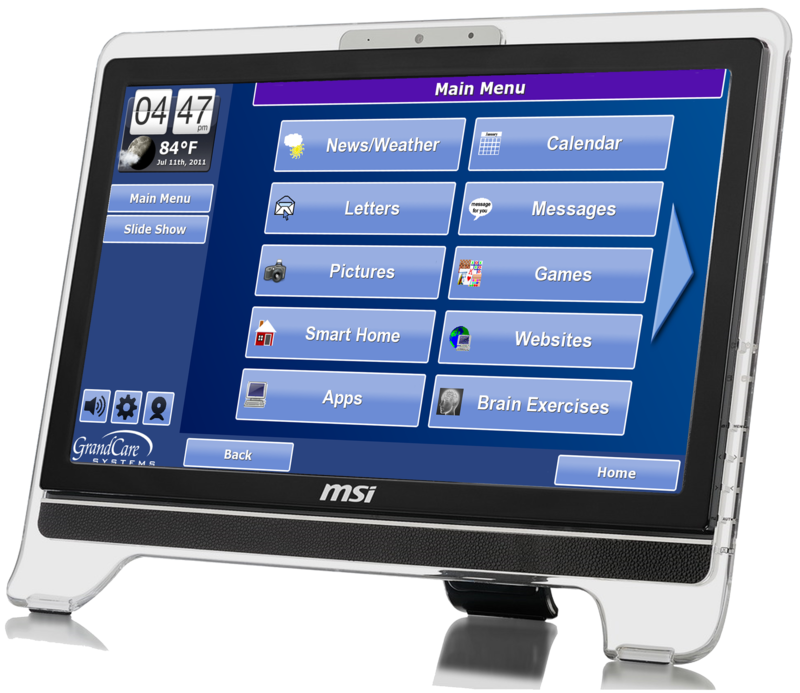 GrandCare offers a senior friendly, Internet-enabled, private home touch screen system aimed at maintaining independence, enabling full family socialization, controlling chronic conditions, and reducing hospital readmissions. It combines the technologies of smart home, activity monitoring, wellness monitoring, and social connectivity. The wellness aspect includes wireless physiological readings (weight, blood pressure, oximeter, glucometer), self- assessment, and medication compliance with associated rule sets, alerts, and congregate analytics. The social aspect includes one button Skype, Coro Health music, wellness videos, reminders, and other standard social media content aimed at reducing isolation, educating the resident, and influencing them to better self-manage his/her own health. About Coro Health: Coro Health is a new media healthcare company. We create, design and distribute therapeutic media to support individuals within a wide range of healthcare settings. Our flagship products include MusicFirst and CoroFaith. Both programs are individually designed for users and delivered via a cloud-based and device agnostic network. Our customers include long-term care communities, hospitals, rehabilitation agencies, home health companies and end consumers.